HMH Books for Young Readers, 9781328770523, 32pp. Get ready for a ride through the alphabet at a busy construction site. There's a big yellow Bulldozer, a tall shiny Crane, and a rusty red Dump truck. The construction crew is hard at work. But what are they building? Melissa Iwai's bright, bold illustrations are a perfect match to June Sobel's irresistible rhyming text. 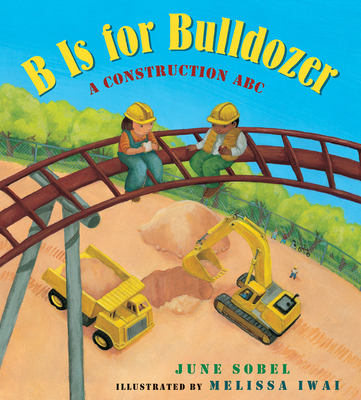 Join the excitement as the workers build, scoop, and dig their way from A to Z in this sturdy, oversized board book perfect for storytime.